Central Wyoming is a two year college with over 50 programs of study in traditional and online classes. iFactory completed Discovery, Information Architecture, Content Strategy, Visual Design, and HTML front-end development with the CWC team. The site was built in the proprietary CMS, TerminalFour. The revised site design quickly clarifies campus distinctions while emphasizing core values and advantages of the overall CWC system. Note: the picture she is referring to is a photo of them in the iFactory t-shirts we sent them. 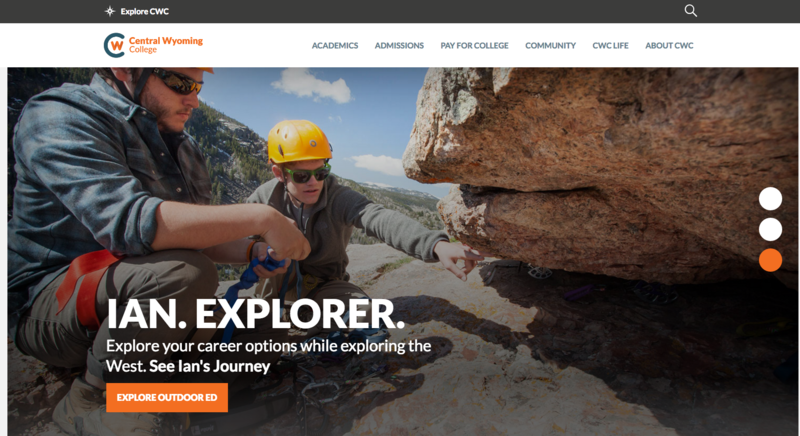 iFactory designed the Central Wyoming College public website. Contact iFactory to learn how we can help your organization expand its web presence and grow its digital footprint.